Mr Fouad Awada is a senior criminal lawyer with a wealth of experience representing clients in courts throughout NSW, ranging from Children’s and Local Courts to the NSW Supreme Court and NSW Court of Criminal Appeal. Prior to joining Sydney Criminal Lawyers®, Fouad worked for years as a defence lawyer with sole carriage of a large number of criminal and traffic cases – with the responsibility of independently undertaking those cases from commencement to finality. He proved himself to be a fearsome and formidable courtroom lawyer, respected by colleagues, prosecutors and magistrates and judges alike. He has successfully defended cases ranging from drug possession and drink driving, through to complex drug supply, importation, serious assault, sexual assault and dangerous driving trials. He is uniquely experienced in defending corporate clients against prosecutions for substantial alleged regulatory offences, and in providing exceptional representation against Crime Commission and ICAC prosecutions, and ‘white collar’ criminal prosecutions generally. A passionate and dedicated defence lawyer, Fouad fights to have charges dropped or downgraded at an early stage in the proceedings – in order for his clients to get on with their lives with minimal disruption. He is committed and compassionate towards his clients, providing them with guidance and support throughout what can be a stressful and anxious period in their lives. He prides himself on providing accurate advice about the law and legal options in a way that is easy to understand, and has represented clients from a diverse range of backgrounds. 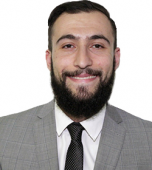 Fouad speaks fluent Arabic and has close ties to the Arabic community. He lends his time to lecturing youth and is actively involved with a number of charities, including the St Vincent De Paul Society, Red Cross Foundation and Legacy.  Fouad is an integral member of Sydney’s best criminal defence team.